HANK PHILLIPPI RYAN: Usually, here's where I introduce our guest (and today we have a terrific one) and then there's a cool essay on a topic that none of us would have thought of, which is why we invite guests to Jungle Red. But I have to fast forward. When I read this blog by the fabulous Alice Loweecey (if you don't already know her, you will in a minute) I laughed, I felt empathy, I admired her, I laughed some more--and then I thought: WHOA. Who is THAT? I wish I had Stephen King's phone number. Never in my life have I ever--well, see what you think. We have a water garden in half of a plastic whiskey barrel. It has a water lily, cattails, and two koi. It used to have three koi, but we also have cats. When the weather turned for good in November, we hauled the garden into the basement. Koi and the plants can’t survive a northeastern winter. I don’t want fishsicles for lunch. The cats spent the summer endlessly fascinated with this fishy-smelling bubbling toy. They’re not happy with the metal grid on top of it now. Their favorite game used to be Terrorize Our Midnight Snacks. To achieve the indoor water garden we had to Clean Out the Basement. I am happy to report we found no mummified mice or other catlike surprises. 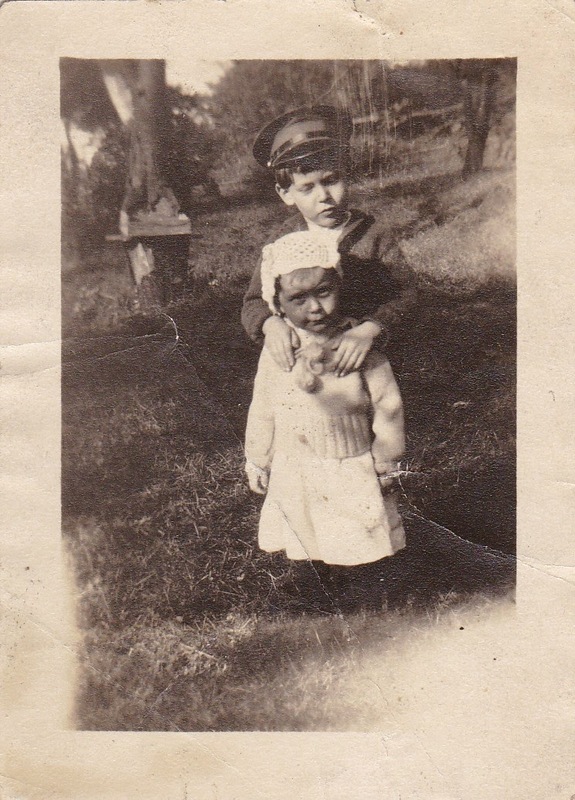 We did find old photographs. Shoeboxes full, from our grandparents’ houses. Were any of them labeled? They begin at the early 1900s and stop at the 1990s. Some of earliest photos are wonderful. Small children in stiff collars and starched dresses, staring at the camera like it’s an alien probe. Older men with bizarre grins that look more creepy than happy. 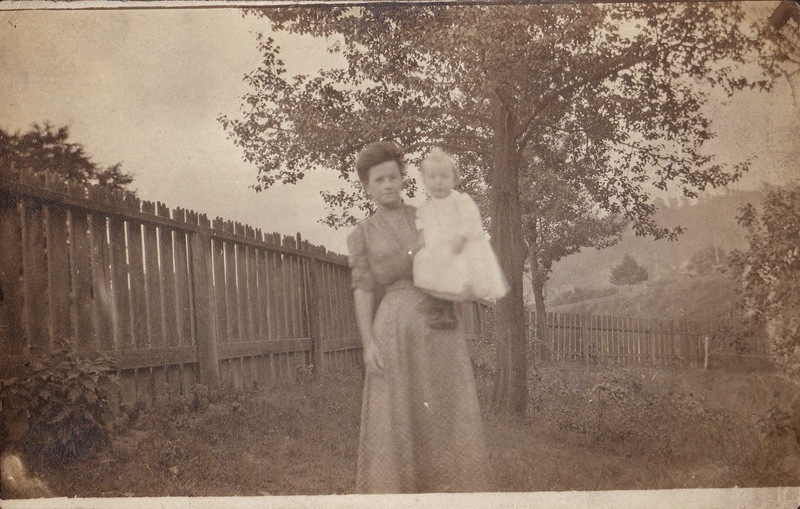 The background in one of the photos—a tree, a fence, grass—is crisp and clear, but the young woman and baby in the foreground are faded and blurred. My immediate thought upon going through this treasure: Plot Bunnies! HANK: MY immediate thought, since you asked, is to drop everything and write a short story. Just saying. Holy moly. This photo is AMAZING. Anyway. 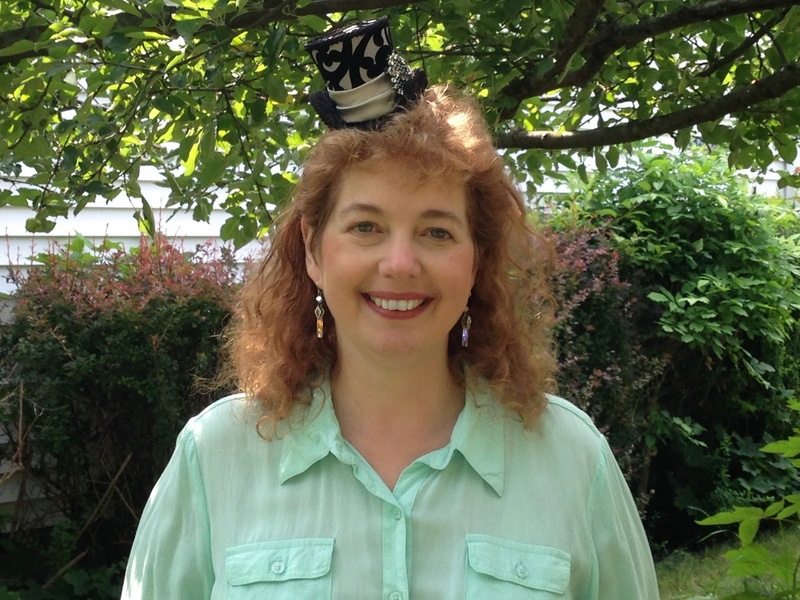 What's a plot bunny? ALICE: If you’ve never heard the term, a Plot Bunny is a story idea that gnaws away at your brain, exactly like a bunny knowing on a carrot. Or the wallpaper. Or an electric cord. And just like a chewed-through electric cord, a plot bunny shorts out the connection to whatever you’re working on. 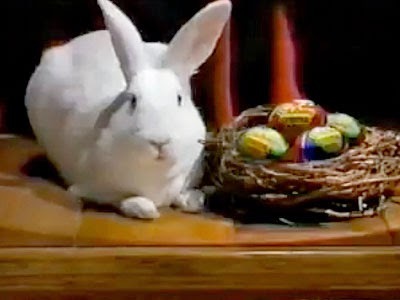 If anyone remembers the Cadbury Bunny and the way its teeth kept moving and moving and moving as it said “Bak-bak-bak,” that’s the correct image for a good plot bunny. 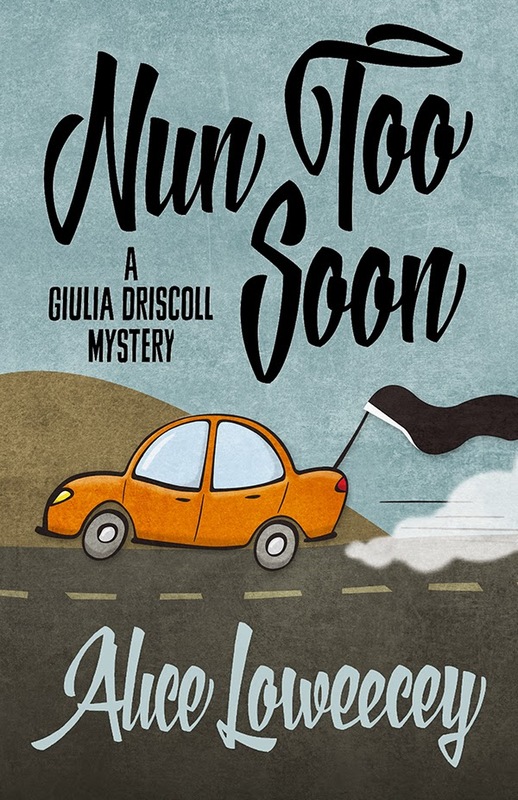 My new Giulia Driscoll mystery, Nun Too Soon, released on January 13. My next one releases in the fall. I’m outlining the third one now. Deadlines, I has them, but I also have to make time for the proper care and feeding of my plot bunnies. When one of them sinks its teeth into my head, I save my current document and open up a new one. Then I make a bullet-point list of all the elements in my head: Characters, setting, plot points, MC, villain, conflict, magic or mystery or horror elements. Once I name the document and save it, it goes into the “Future” folder and the bunny quiets down so I can finish my current project. I use sticky notes and voice messages on my phone for daily remembrances, but a good plot bunny deserves special treatment. Writers, how do you care for and feed your plot bunnies? Baker of brownies and tormenter of characters, Alice Loweecey recently celebrated her thirtieth year outside the convent. She grew up watching Hammer Horror and Scooby-Doo Mysteries, which might explain a whole lot. When she’s not creating trouble for Giulia Falcone-Driscoll, she can be found growing her own vegetables (in summer) and cooking with them (the rest of the year). Giulia Falcone-Driscoll has just taken on her first impossible client: The Silk Tie Killer. He’s hired Driscoll Investigations to prove his innocence and they have only thirteen days to accomplish it. Talk about being tried in the media. Everyone in town is sure Roger Fitch strangled his girlfriend with one of his silk neckties. And then there’s the local TMZ wannabes—The Scoop—stalking Giulia and her client for sleazy sound bites. On top of all that, her assistant’s first baby is due any second, her scary smart admin still doesn’t relate well to humans, and her police detective husband insists her client is guilty. About this marriage thing—it’s unknown territory, but it sure beats ten years of living with 150 nuns. Giulia’s ownership of Driscoll Investigations hasn’t changed her passion for justice from her convent years. But the more dirt she digs up, the more she’s worried her efforts will help a murderer escape. As the client accuses DI of dragging its heels on purpose, Giulia thinks The Silk Tie Killer might be choosing one of his ties for her own neck. Ah, the care and feeding of plot bunnies . . . what fun! 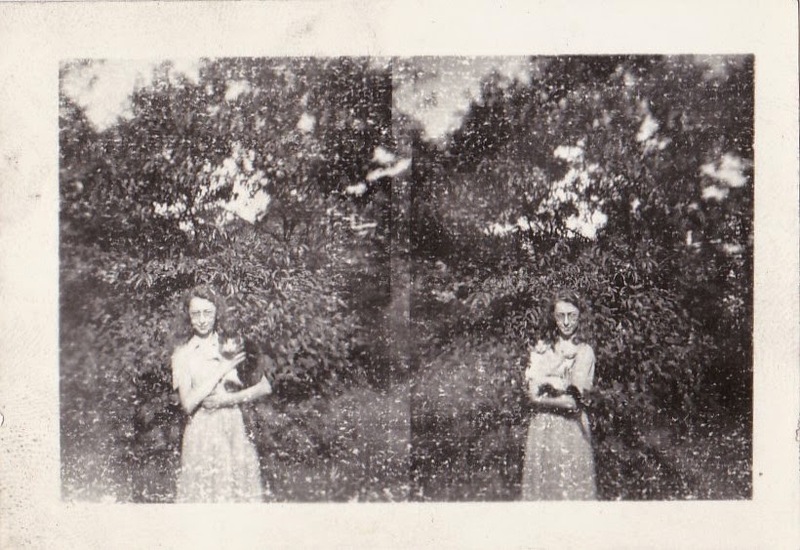 But if the picture wasn't a double exposure, you could have all sorts of fun with a twin story . . . .
plot bunnies! The great shazzam hit me yesterday while I was driving in truck traffic. Roared home, opened a new file, and type-scribbled it all down, including a name for a forgotten cousin who has reappeared. Love the idea of plot bunnies. I keep mine in a file I call COMPOST. The problem with plot bunnies is that they accumulate faster than I can write them, and sometimes when I go back to look at the idea, I wonder what on earth I was thinking. Waving at Alice... love your Giulia mysteries! My own ambition to become a nun was fueled by an aunt (my godmother) and a cousin, who both went into the convent. Neither of them ended up taking their final vows; the cousin realized she was gay, and quit. My aunt came home to recuperate from scarlet fever, just before she would have taken her vows. When she was almost fully recovered, Grandma sent her to the grocery store for an easy outing. While there, she ran into an old beau from early high school, home visiting his own mother. He asked her out to dinner, and that was it for the convent. Our Catholic school run by the Franciscans always took all the eighth grade girls on a field trip to their motherhouse in Indiana. On the way home in the bus my best friend and I had convent fever, and we were sure that's what we wanted to do with our lives. Until we realized there were no boys there. Deal breaker! I have COMPOST too, athough anyone who sees it might say--what's that basket of newspaper clippings for ? I hardly ever look at it, though? And when I do --I too, am often baffled ! And I am now thinking I have some photo albums which are unlabeled. Will they wind up as a mystery to someone ? Hi Alice! I remember meeting you at the Festival of Mystery a few years ago. If my unreliable memory serves me, we share a connection to Buffalo, NY. I will get those plot bunnies. Sometimes, they leave. Other times, they will not let go. I've even dreamed about them. When that happens, I know I have to do something. I have a "miscellaneous" project in Scrivener, so I write the scene (or scenes) that won't leave me alone. Somehow, the act of writing sets the bunny free and I can concentrate. Often, the scenes find their way into some future project, but sometimes not. I have a file labeled "Story Ideas." It's chocked full of great stuff -- and then something catches my fancy and the next time I look at the file is when I throw something else in it. I have pictures from generations back. Many are labeled, but the labels are teases. Something like, "Billy and Bob at Bert's" could show three kids with fishing poles and missing-tooth smiles. Rarely a date. They knew at the time, but the photos often skip generations and so the context is gone forever. Yeah, it's kind of interesting… When we do label photos, it's for ourselves, you know? And not thinking about someone in the future wondering… What the heck are they doing? Or, where was that? Or when? Plot bunnies! I love it! I've kept them in all different places--notebooks, Evernote (I've looked at some of those those and thought, "What was I thinking?? ), Word files, and now in Scrivener. Usually mine are whole book ideas, referred to by names like "The Cheshire Book" or "The East End Book" until I actually come up with a title. Love the old photos! Definitely some stories there. My parents and all their siblings are gone now, so there's no one to identify those unlabeled pics. Makes me sad. But I'm sure your book would be a cure for that, Alice! I love the term "plot bunnies." And, the photographs you found are real treasures. I have this thing of looking at photographs of people and wondering what they were doing right before the camera snapped the pic and what they went on to do that day. So, I guess that's kind of like having a plot bunny about the photo? Alice, you have been wandering around my reading radar for a bit now, and I just haven't gotten to you. Someone appearing on the Jungle Reds blog usually stirs me into action on an author, and so it will be with you. Now adding your Guilia series to my TBR and wish list lists. What a fun cover for Nun Too Soon, and a clever title to boot. Thanks for being here today, Alice, and sharing your plot bunnies and books. So glad you said that, Debs,! 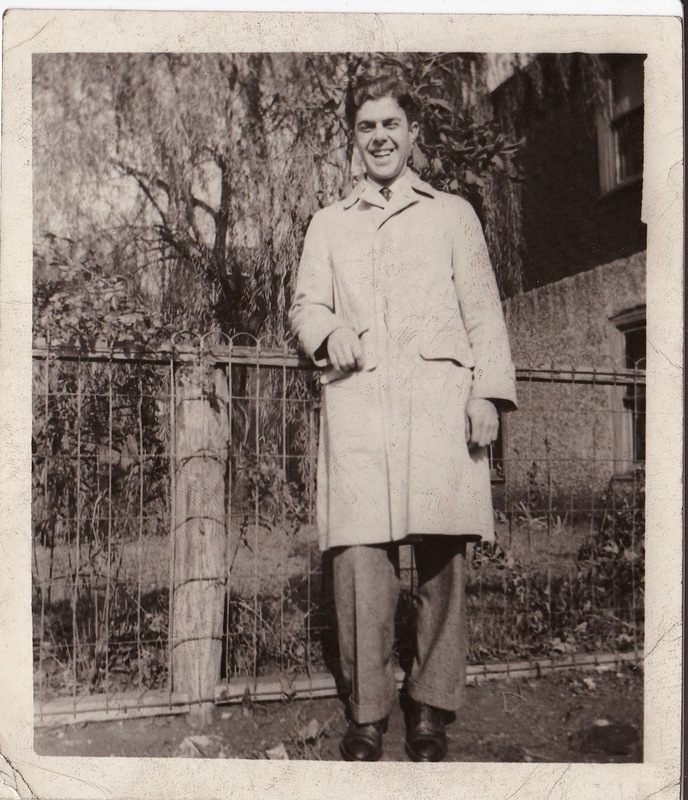 I started thinking about all the family photos… And how they are such a statement of time passing. Then I got sad, too. Good thing Alice us here, exactly! Because the way we look at photos is kind of fascinating… Immediately after whatever it is happens, and then… Not as much. Happier news! I am at a coffee shop at 41st and Broadway getting ready to see Matilda! Plot Bunnies! Oh, how I love it!!!! and loved this post. So nice to meet you, Alice! Having become the keeper of old photographs for my dad's family many years ago, I too have some very odd pics that have made me scratch my head in wonder. Plot bunnies? All the time. If it's while I'm writing at the computer (frequent), I open the file I have for that genre of book or short story--mystery, sf/f, literary--and write out the idea with all the details I have at the time in that doc. Eventually, some gather enough details that they get moved to their own individual doc. I will never live long enough to write all the books/stories I have ideas for--and new ones come all the time. It's a sense of security to have those files. Love the photos, Alice. Full of stories. I'm getting your book for my husband who was raised by a pack of wild nuns. If I had time for a blog (hahahahaha!) one where people could submit their weirdest old photos would, I think, be a fun choice. Think of the nightmares... er, plot bunnies... it could induce! Thank you for the lovely replies, everyone. Linda, I have to say I love the phrase "pack of wild nuns"! I was a wild one in my time: spent much of my four convent years in trouble, major and minor. Alice, Ben was in the first year that the Loretto Academy gender integrated. He then went on to the Loretto Heights College in Denver, and the Sisters of Loretto continued to play a huge role in his life (even though he's Jewish). They still call him up wanting to get him involved in things, and I worked with them a lot when I ran a women's center. I think a lot of them have looked on him as a son in some ways. So the Sisters of Loretto=the pack of wild nuns. What a fabulous post. I have a file named - not creatively - ideas. I think I'll rename it bunnies. You are all amazing--thank you Alice! We had a Broadway binge day -- first Matilda, then dinner, then You Can't Take It With You then shrimp cocktail and proseco. Back to reality tomorrow! Hank, I'm envious. I have never actually seen a play on Broadway. Sigh. Saw the Rockettes' Christmas show years ago, when I was a nun working at Covenant House. That's as close as I got. Thanks for a great conversation, everyone! Books I Think I've Read--but I haven't. Get your handbag at the liquor store? Feeling Like You're Coming Down with Something?